Fiot was one of the best of the later Animalier sculptors. His work from the early 1900s show the smooth lines influenced by the Art Nouveau movement. 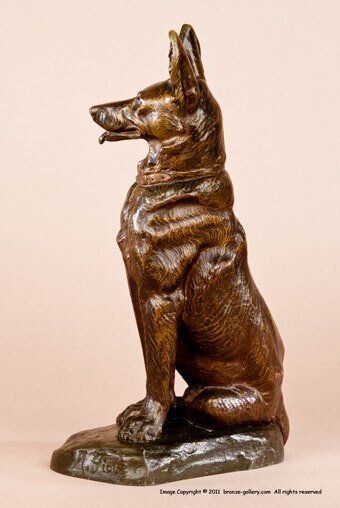 Most of his models are of dogs, he sculpted Wolfhounds, Greyhounds, Terriers, and several German Shepherd dogs. German Shepherd dogs, also called Alsatians, became very popular in the early 1900s and these dogs were often featured in art work. 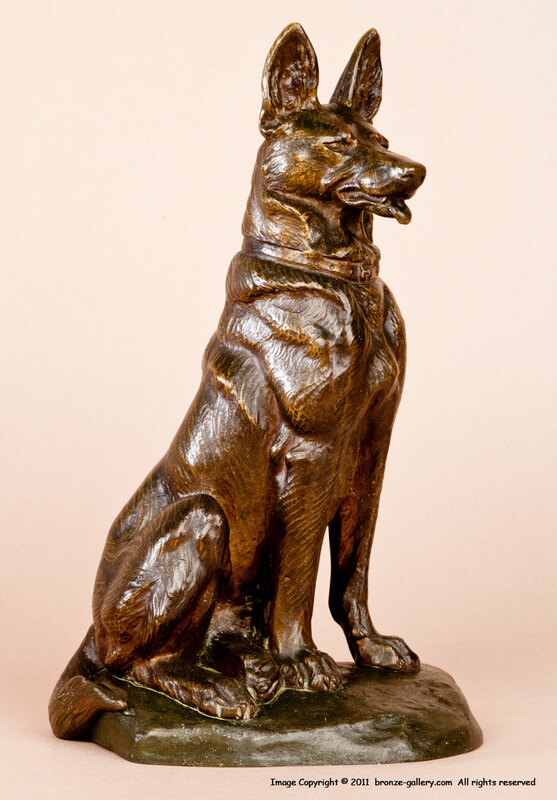 Fiot did German Shepherds reclining, posing with children, and sitting alertly like this bronze. He captured the protective and intelligent nature of these dogs in his sculptures.